Point-to-point connections allow one device to directly communicate with exactly one other device. For example, two phones may pair with each other to exchange contact information or pictures. Multipoint connections allow one device to directly connect and deliver messages to multiple devices in parallel. Not all networking technologies support making all types of connections. Ethernet links, for example, support broadcast, but IPv6 does not. The sections below describe the different connection types commonly used on networks today. The term broadband can mean multiple things, but many consumers associate it with the concept of high-speed Internet service installed at a specific location. Private networks in homes, schools, businesses and other organizations usually link to the Internet via fixed broadband. Various universities, government, and private institutions created key pieces of the Internet during the 1970s and 1980s. Household connections to the Internet gained rapid popularity during the 1990s with the emergence of the World Wide Web (WWW). Fixed broadband Internet services became firmly entrenched as a standard for residential homes in developed countries during the 2000s, with ever-increasing speeds. Meanwhile, national Wi-Fi hotspot providers began supporting a geographically dispersed network of a fixed broadband sign on locations for their subscribers to use. Integrated Services Digital Network (ISDN) technology supports simultaneous voice and data access over phone lines without requiring the use of a modem. It was the earliest example of high-speed (relative to available alternatives) Internet access service the consumer market. ISDN failed to gain widespread popularity due to competition from superior Digital Subscriber Line (DSL) and cable Internet services. Besides these options that involve cabling, fixed wireless broadband (not to be confused with mobile broadband) services based on microwave radio transmitters. The tower-to-tower communication on cellular networks also qualifies as a kind of fixed wireless broadband system. Fixed broadband installations are attached to one physical location and not portable. Due to the cost of infrastructure, availability of these Internet services is sometimes limited to cities and suburbs (although fixed wireless systems work reasonably well in rural areas). Competition from mobile Internet services puts increasing pressure on fixed broadband providers to keep improving their networks and lowering costs. The term “mobile Internet” refers to several types of Internet service that can be accessed via a wireless connection from many different locations. Satellite Internet services were created in the late 1990s and 2000s as a higher-speed alternative to the traditional dial-up Internet. While these services could not compete with the high performance of newer fixed broadband solutions, they continue to serve some rural markets that lack other affordable options. The original cellular communication networks were too slow to support Internet data traffic and were designed primarily for voice, but with improvements in newer generations have become the leading mobile Internet option for many. Cellular networks use a wide variety of different communication protocols within the 3G, 4G and (future) 5G standards families. The performance of mobile Internet connections historically been lower than that offered by fixed broadband services, and its cost has also been higher. With major improvements in both performance and cost during recent years, mobile Internet has become increasingly affordable and a viable alternative to fixed broadband. A virtual private network (VPN) consists of the hardware, software, and connections needed to support protected client-server network communications over public network infrastructure via a method called tunneling. VPNs grew in popularity during the 1990s with the proliferation of the Internet and high-speed networks. Larger businesses installed private VPNs for their employees to use as a remote access solution — connecting to the corporate intranet from home or while traveling to access email and other private business applications. Public VPN services that enhance the online privacy of an individual’s connection to Internet providers also continue to be widely used. So-called “international VPN” services, for example, allow subscribers to navigate the Internet through servers in different countries, bypassing geolocation restrictions that some online sites implement. Microsoft Windows adopted Point to Point Tunneling Protocol (PPTP) as its primary VPN solution. Other environments adopted the Internet Protocol security (IPsec) and Layer 2 Tunneling Protocol (L2TP) standards. Virtual private networks require special setup on the client side. Connection settings vary across different VPN types and must be correctly configured for the network to function. Failed attempts to make a VPN connection, or sudden connection drops, are fairly common and difficult to troubleshoot. Dial-up network connections enable TCP/IP communications over ordinary telephone lines. Dial-up networking was the primary form of Internet access for homes in the 1990s and early 2000s. Some businesses also set up private remote access servers enabling their employees to access the company intranet from the Internet. Devices on dial-up networks use analog modems that call designated telephone numbers to make connections and send or receive messages. X.25 protocols are sometimes used to transfer data from dial-up connections over long distances, such as for credit card processing or cash machine systems. Dial-up provides very limited amounts of network bandwidth. Analog modems, for example, top out at maximum data rates of 56 Kbps. It has been replaced by broadband Internet for home Internet and is gradually being phased out in other usages. People associate computer networking with LANs more than any other type of network connection. A local network consists of a collection of devices located in close proximity to each other (such as in a house or an office building) connected to shared network equipment (like broadband routers or network switches) that the devices use to communicate with each other and with outside networks. Local networks (wired and/or wireless) became extremely popular during the 2000s with the growth of home networking. Universities and businesses utilized wired networks even earlier. Most modern wired LANs utilize Ethernet while wireless local networks generally use Wi-Fi. Older wired networks used Ethernet but also some alternatives including Token Ring and FDDI. Managing LANs can be difficult as they are general purpose networks designed to support a mix of different devices and device configurations (including different operating systems or network interface standards). Because the technologies supporting LANs function only over limited distances, communication between LANs requires additional routing equipment and management effort. Dedicated network connections between two devices (that no other devices can share) are also called direct connections. Direct networks differ from peer-to-peer networks in that peer networks contain a larger number of devices among which many point-to-point connections may be made. End-user terminals communicated with mainframe computers via dedicated serial lines. Windows PCs also supported direct cable connections, often used to transfer files. On wireless networks, people often make direct connections between two phones (or a phone and a sync device) to exchange photos and movies, upgrade apps, or play games. 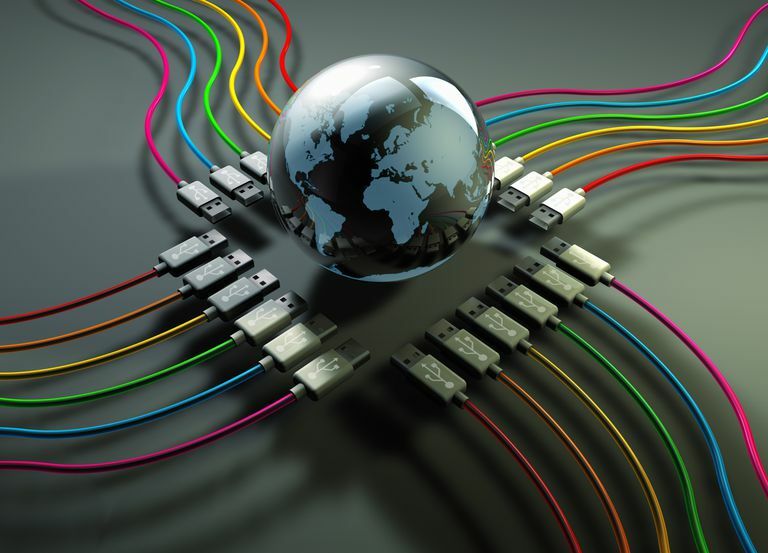 Serial port and parallel port cables support basic direct wired connections traditionally, although these have greatly diminished in usage in favor of newer standards like USB. Some older laptop computers offered wireless infrared ports for direct connections between models that supported IrDA specifications. Bluetooth emerged as the primary standard for the wireless pairing of phones due to its low cost and low power consumptions. Making direct connections over longer distances is difficult. Mainstream wireless technologies, in particular, require devices to be kept in close proximity to each other (Bluetooth), or on a line-of-sight free from obstructions (infrared).